(1868-1919), Colonel, 1918; Major General, 1918. Matriculation examination 1887; qualified officer 1889; in Stockholm Cadet School 1892-1894. Swedish officer, who also served in Persia 1911-1915 and in the Finnish army from 15 February till 15 June, 1918: e.g. 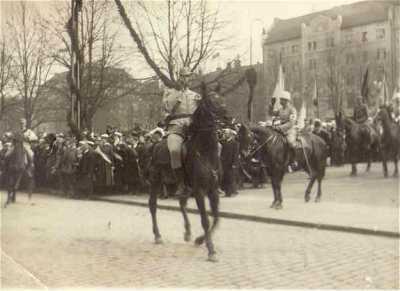 Commander of Group Hjalmarson and the Swedish Brigade. Wrote memoirs Mina Krigsminnen från Finland (My War Memories from Finland).